We've discussed how to get your case heard by the U.S. Supreme Court in a different blog, but what about having your case heard by the California Supreme Court? Are the strategies any different? California Lawyer Magazine has an informative article on the topic of securing high-court review in California. You see, it's not that easy to have the California Supreme Court hear your case. As such, you really need to have your game-face on and make the best pitch. The article begins by pointing out that you absolutely must adhere to proper court rules and procedure if you intend to seek California Supreme Court review. This does not only mean that you need to take care to draft your petition properly, but you also need to make sure that the lower court opinion does not contain any factual errors. If the appellate court opinion has any such errors, then it needs to be corrected through a petition for rehearing otherwise those errors may carry over into the Supreme Court. Timing is also a key issue. The petition for Supreme Court review must be filed within ten days from when the appellate judgment became final (typically thirty days after the opinion is rendered). 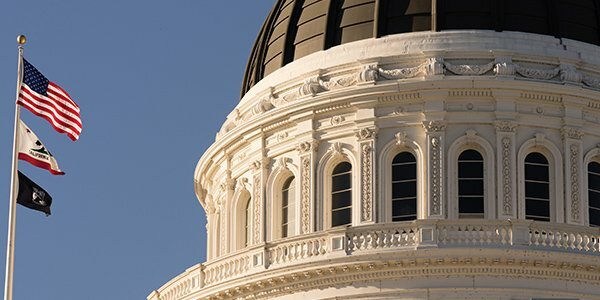 Now, what is your California petition for Supreme Court review supposed to look like? According to California Lawyer, it looks just like any other appellate brief. At least on the surface. It has the table of contents, citations, table of authorities and is drafted in 13-point type. The petition for review is shorter than an appeal brief. It’s only 8,400 words, as opposed to 14,000 words. The petition must begin with a statement of the issues presented for review. The petition must state whether a petition for rehearing was filed, in the event that the appellate opinion was not final immediately. The court of appeal opinion or order must be bound at the back of the petition. Have a look at the article and try the quiz at the end of the article, for some California CLE credit.